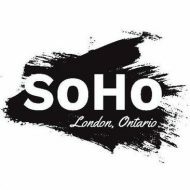 Join us for our first annual “SoHo Day” on Saturday, June 18th! Stop in at 304 South St. (Between Wellington and Waterloo) to pick up your map, then see what our neighbourhood has to offer! Feeling hungry? We will have hot dogs and other refreshments available at 354 Hill Street (Between Waterloo and Colborne). Later on, at 7pm, courtesy of the City of London we will be having a FREE outdoor showing of “Madagascar”. Bring your blankets/chairs and a snack to Meredith Park at the corner of Nelson and Maitland streets for an evening of family fun.